Claustrophobia? Hypnotherapy could help you out! It’s estimated that claustrophobia affects up to ten percent of the population, making it one of the most common phobias of all. 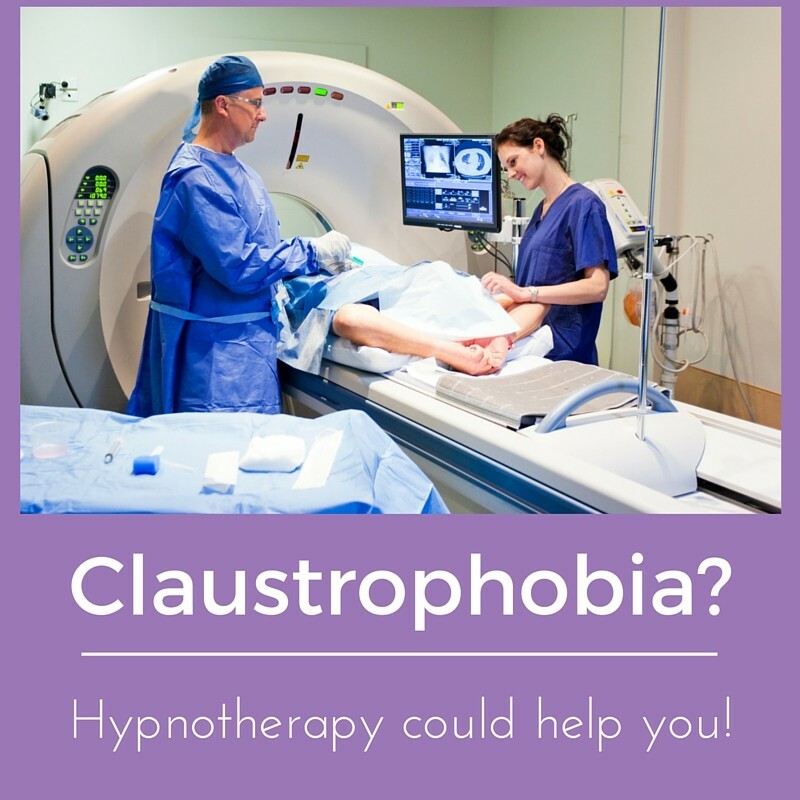 If Claustrophobia is limiting your life then be assured that hypnotherapy could help you. I’ve used hypnotherapy in Reading, Oxford, Wallingford, London and Thame to help people let go of this fear. You could be next! Claustrophobia can be a terribly limiting fear. People will go to great lengths to avoid that feeling of a loss of control, of being hemmed in and this can mean that great swathes of life can be out of bounds. In their fear of small, enclosed spaces people will commonly avoid lifts, planes, trains, small meeting rooms, cellars, tunnels, crowded places and any number of enclosed spaces. This is hard to manage whilst maintaining a normal life. People with claustrophobia can experience all the symptoms of anxiety and panic when exposed to these things, sometimes having full-blown panic attacks. The most common scenario through which I’ve recently seen claustrophobia clients is that concerning MRI scans. Nobody wants to be ill. Nobody wants to suffer claustrophobia. When both combine, however, it’s truly awful. You’re ill. Your doctor tells you that theyre booking you in for an MRI scan and the dreadful conflict begins. You know that the scan is needed and yet that part of your unconscious mind is determined to use fear in order to keep you out of that machine. A part of you is screaming: ‘obey your fear’. The logical mind knows that this is nonsense and yet no amount of reasoning will quieten that panicky part of your brain. There’s no way out of this scan and yet your fear is determined to save you from it. If this describes you and your situation then hypnotherapy could help you. I’ve seen many people in Oxford and Reading for precisely this fear. They’ve all managed to go through the scan. You could too. Is your life shrinking into a small and smaller space? People will go to great lengths to avoid them and life can begin to shrink into predictably safe and comfortable places. People will sometimes have to plan incredibly long journeys in order to avoid places and environments which trigger the fear. Sometimes they’ll avoid such journeys altogether and this can mean that normal life becomes increasingly difficult. 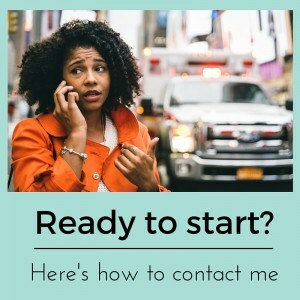 If you suffer from panic attacks then you might want to read about how I work with this problem. Perhaps you’re here now because you need to go for an MRI scan and need some help. Perhaps you’re planning a honeymoon and your fiancé doesn’t much fancy staying in Britain. Perhaps you are simply fed up of having your life restricted by a fear you know to be irrational and needless. Whatever reason brings you here, I’m glad you are and look forward to helping you. Where does this fear of enclosed spaces come from? The origins of this phobia are usually quite straightforward. Often the sufferer will have been trapped in such a space when young. Perhaps they were lost in a crowd as a small child and all those grown-ups around them seemed threatening, enclosing, restricting and the fear stayed with them forever after. Perhaps they will have been bullied and that sense of being trapped, hemmed in and out of control has mutated into a life-long claustrophobia. The potential causes of claustrophobia are manifold. All you need to know is that the original trauma programmed your brain, in an instant to fear any situation which appears to resemble that initial event. Whatever you feared in that moment failed to happen. You survived and you were fine. Your imagination, however, created a lifelong fear. The good news is that your imagination will be a part of the solution too. You can imagine yourself free! I’ll be glad to help you through the use of hypnosis, mindfulness and other relevant psychotherapeutic interventions. You can be free of this fear and I’m here to help you, whenever you’re ready. Some scientists have suggested that a smaller than normal amygdala is to blame. Others point out, however, that a smaller amygdala could be a consequence rather than the cause of such a phobia. Others suggest that we’re pre-wired to avoid such small and enclosed spaces. Homo sapiens originated in the plains of East Africa. Perhaps we’re simply not built to be confined. In any case, experience shows that people can learn to leave claustrophobia behind them. Hypnotherapy could teach you to relax around situations and environments which once triggered panic. Hypnotherapy could help look at the original cause of this problem and could help you to let it go, to see it differently, to view it through a new lens. Hypnotherapy could also help you to begin the process of exposing yourself, step by step, to those situations which once caused panic and fear. If you’d like some hypnotherapy for claustrophobia then please do get in touch. I’ll be glad to help you. If you live in or near Reading, Oxford, London, Thame or Wallingford then give me a call on 07786 123736 / 01189 280284 / 01865 600970. Alternatively, simply email me at paul@resolvedhypnotherapy.co.uk or use the contact form below. Ask any questions you like. You don’t have to book in right away. I look forward to hearing from you.